This guide was originally a collaborative effort with Necrolina, produced by SkillCapped. All of their written guides are available for free, and they encourage reposting with a link back. The original article is on Skill Capped, here. GotWarcraft Note: We’ve updated this guide to Warlords of Draenor and added the info for Retribution Paladins. Hit, Expertise, Resilience, PvP Power, and reforging are all dead. Gemming is dead (for now) and only a few items can be enchanted. There have been a number of changes to Paladins, and Holy in particular. See our post on the changes for all that info. Note that this guide is just the gear and enchants. For the full “how to” guides see the links just below. This page also assumes that you’re level 100, though some of the basic ideas also apply to lower levels. If you’re not there yet then visit our leveling guide or check out Zygor. Stat Priority – The stats you need most. Given the lack of gemming and the limited enchants (no primary stats, for example) you won’t be able to stack stats as you could before. While Int/Str is more important than any other stat you won’t find either on your gems or enchants, though there are some potions and such that will add them. As Holy you will be trained into the ground, which favors crit (more big heals when you do manage to get them off.) If you’re not being trained then Haste is better. In Holy’s case, the stat is Crit and you get an additional 5% Crit, from all sources, from your level 90 Sanctified Light ability. This gives you 10% total base Crit. Strength/Intellect – Your primary stats now only add attack/spell power, where previously they added a bit of Crit. No more. They do, however, boost everything you do for your damage and healing, rather than some aspect of it. Str boosts both for Ret and Int boosts both for Holy. One to one, your primary stats are much better than any secondary stat, unfortunately you can’t gem or enchant for primary stats in Warlords. Critical Strike is another solid stat to accumulate for a Paladin. Keep in mind that in PvP it only does 150% effect (200% in PvE) for your damage or heals. Critical Strikes when using Holy Shock activate our passive Infusion of Light. The reduced cast times on Holy Light and Holy Radiance makes topping off you and your teammates much easier, and can make a huge difference in how a PvP encounter plays out. Try to have at least 15-18% base crit, which give a total 30-36% crit chance for your Holy Shock. Your 2 piece armor bonus also can add Crit: “Denounce grants you 100% of the critical strike chance of the target for 12 sec.” (Assuming you Denounce enough to make it worthwhile.) Your Crit value + the Denounce bonus + the Holy Shock doubling will give you a pretty sweet crit rating for a few seconds. Retribution has nothing that procs off of crits, even though that extra damage is nice. Your other stats will lead to more damage and more pressure. Retribution makes good use of the faster cooldowns and improved cast times. Versatility is an add to all damage and healing that you do, as well as a reduction in damage taken. The perfect PvP stat, right? Maybe. Certainly a solid stat considering it’s heal and defensive value. Retribution’s Mastery causes various abilities to deal extra damage as Holy. This also applies to any multistrikes from those abilities. Holy Paladins benefit from Mastery: Illuminated Healing, which creates an damage absorb shield on targets you cast direct healing effects on (as well as from Multistrikes.) This increases Holy Paladin throughput by a significant margin, as the overwhelming majority of Holy Paladin healing spells are considered direct healing. Mastery is an excellent secondary stat to allocate into. You can also think of those shields as “one more thing” that the other team has to dispel, before they get to dispel your important buffs. Spirit increases the rate at which mana regenerates. Spirit helps to ensure your mana pool is not depleted over the course of a PvP encounter. If you’re not healing your Beacon of Light target then you’re not getting mana back, so you’ll need the spirit. How much? It depends on your game. Are you running out of mana? Get more. Do you never run out of mana, even though you might get pretty low? You’re fine. If you’re always full then get rid of some Spirit in favor of other stats. Spirit does nothing for Retribution. Mastery Vs Multistrike: Mastery is always on, always boosting your healing. MS is random. Which do you prefer? There is no PvP gemming in Warlords Season 1. The gems are there, but the sockets are not. They have a (small) random chance to appear on Raid gear, so perhaps they’ll also eventually appear on PvP gear. The gem themselves are actually available. They are all prismatic, meaning they fit into any socket. None have Int, they all have secondary stats (Mastery, etc.) There are no Meta sockets or Meta gems. PvE gear is uprated in instanced PvP (BGs, etc.,) though only to 650 in Warlords Season 1, so if you have PvE gear with sockets and you’re cool with that, then go for it. Note on costs For older gems:) Perfect gem cuts have the same stats as the regular cuts, but the price might be very different. Go with the cheaper of the two. See out gold pages for more gold tips. Gem for your primary stat in all red and prismatic sockets. Gems for Int/Haste or Str/Haste in all other sockets. You only need to match socket colors if the bonus is for Int or Str. Gem for Versatility, both Ret and Holy. Prior to Warlords enchant for your primary stat (Int or Str) and then Mastery where the primary stat is not available. Ret & Holy should both enchant for Versatility, where available. Ret’s weapon should be either the Mastery or the bleed. Holy’s should be Spirit (if you need the mana) or Mastery. This section is geared towards people who have recently hit 100 for the first time, or have an under-geared alt that needs to be primed for beginning the PvP gear grind. Upon achieving level 100, we do NOT advise you to just jump into an Arena, or start grinding Battleground’s, or do any sort of PvP for that matter fresh off of leveling in your leveling items. Chances are many of the enemies in a Battleground (and certainly an Arena) will significantly out-gear your fresh level 100, which means they will have a significant advantage over you in a PvP setting. There isn’t any, not specifically for PvP. It’s still available for lower brackets, though. Level 90 “Crafted Malevolent,” for example. 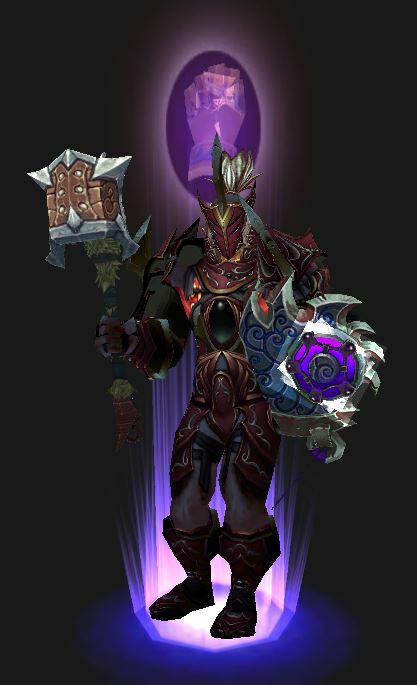 At 90 Get a Crafted Malevolent Gladiator’s Medallion of Tenacity, if you don’t already have something similar. Human Paladins, of course, don’t need one. At 91 you can buy a crafted ilevel 630 weapon and two pieces of 640 armor (head, chest, or legs, pick two.) You can also buy items to reroll stats on those pieces. Should I get the Honor Gear? Why? Because it will give you an boost in the arena as opposed to going in with lesser gear. In Season 1 the honor gear is 675 and the Conquest gear is 690. Not too bad a difference for a Paladin. If you have high level PvE gear then that’s fine. PvP Gear in Warlords has two ratings, one for normal or PvE encounters, the higher rating for any PvP situation, from duels to Arena and everything inbetween. This dual rating allows Blizzard to get rid of PvP power. For example, your Conquest gear will be item level 660 in “normal” encounters and 690 in PvP encounters. This seems like a good answer to the “PvE Vs PvP Gear” question and it’s possible that Blizzard will continue it into later seasons. Note that if you Mythic Raiding PvE gear is better than the PvP pieces then you should keep it and skip the PvP pieces, unless you need the set bonuses or something. Which Pieces Should You Get First? Primal Aspirant is ilevel 600/660 and is found in strongboxes won from the BGs or Ashran PvP events. It can also be found as “Warforged,” which adds 6 item levels. This gear can only be awarded from your Gladiator’s Sanctum work orders or found in strongboxes..
Primal Gladiator is the Conquest gear and is 660/690. It cannot be Warforged. Generally it much be bought with conquest points and only rarely, if ever, appears in any boxes or Sanctum awards. Denounce grants you 100% of the critical strike chance of the target for 12 sec. Each Holy Power spent on Word of Glory reduces the damage taken by the target by 5% per Holy Power spent for 6 sec. When you cast Avenging Wrath, the duration of all incoming crowd control effects on yourself is reduced by 25% for 15 sec. Spending Holy Power increases your damage and healing by 2% per Holy Power spent for 4 sec. If you do not already have an escape trinket then that should be your #1 pick up. Keep in mind that you can buy one right off the Auction house, so unless you’re Human you have no excuse not to have one. Honor Weapons do not have any special requirements to buy, beyond the cost. If you’re working on the honor gear then get these items first and enchant them. Past this point it’s the same for Honor or Conquest gear. Four piece set bonus next: Head, Chest, Shoulders, Gloves. This video will outline gear acquisition in Warlords. If you’re doing Ashran then it’s highly recommended that you join an Ashran event group. Besides giving you an actual chance to last longer than ten seconds you will be able to do the various events and kill rares. Events are on timers and can actually be done several times per day, for Conquest and Honor awards. Any actual PvP done will award you with bones (for your gladiator sanctum) and artifact fragments (to hand in at your base.) Looting bodies will get you pieces (hearts, spines, etc.) which you can hand in at your main base. Killing the level 102 Rares will award any of a number of interesting items, other than gear, gold, or whatever. For example, this item or this one. In Warlords all of the profession bonuses are gone. No more extra gem sockets, synapse springs, etc. Professions are now only for gaining gold or getting certain gear items. 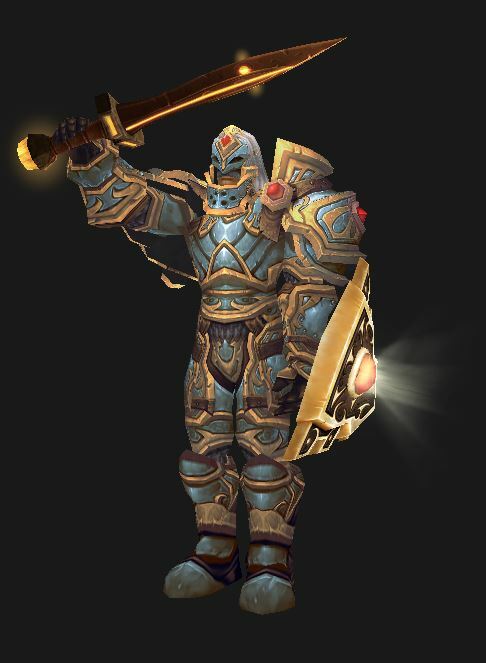 BTW – Consider getting the Gladiator’s Sactum in your Garrison for additional honor, starting gear, and misc. bits. Blacksmithing will let you create decent gear to start raiding or PvPing. You can make ilevel 630 weapons and 640 armor. You can also make items to reroll the stats on both, to get them “right,” and also items to upgrade both tcie, to a total of 25 item levels. Engineering has a number of useful gadgets, especially for World or BG PvP. Think rockets, shields, a stealth device, nitro boosts, etc. Jewelcrafting allows you to create useful rings and necklaces, using the same rules as Blacksmithing, as well as gems and mounts. Inscription will let you create those glyphs and various other items. Did this guide meet your expectations? If so, please feel free to use the social buttons and like/share it with your associates. Also feel free to add a comment of you have anything to add or have found some issue with the guide.